Don't miss a beat of your busy daily schedule! You can purchase one of our new or used wheelchair vans from the comfort of your home in Greeley, Colorado. 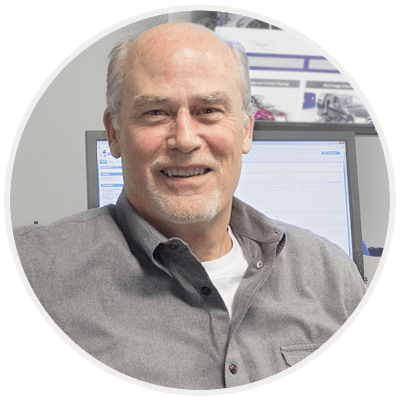 Our mobility consultants do all the work during your personalized sales experience. After the conclusion of the sale, we can deliver your handicap van to you in the Greeley, Colorado area. A mobility professional will drive your handicap van to your home or office in Greeley, CO, and then fly home. Instead of having your wheelchair van driven all the way from our facility to Greeley, Colorado, opt to have it hauled by trailer to minimize the amount of mileage incurred by delivery. Pick up your wheelchair van from our office in Atlanta, GA--you may be eligible for a discount from the price of the van. To acquaint you with how your handicapped van works, our mobility professional will show you how to operate all the factory-installed and adaptive features of your handicap van during our White Glove Service, which also includes safety guidelines and answers to any questions the day we deliver your van. 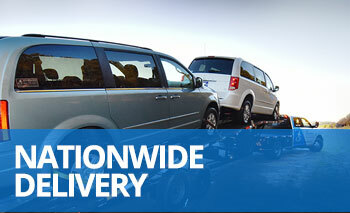 AMS Vans guarantees full satisfaction on every wheelchair van at the time of delivery. If you think your handicapped van wasn't properly represented to you during the sale, simply tell the mobility professional at the time of delivery. If you would like your mobility professional to meet you at a mechanic in Greeley, Colorado for an inspection, we are happy to do so. With our low price guarantee on all newly modified wheelchair van conversions, our customers routinely save up to ten thousand dollars or more. Contact a mobility consultant at 800-775-VANS (8267) to learn more about the handicap vans for sale that can meet all your accessible transportation needs. Just choose a favorite, and we'll do the rest while you relax at home in Greeley, CO.
Because we're one of the top handicap van dealers in the US, it's likely you've already seen a wheelchair van that was delivered to the owner's front door in Greeley, CO, and we can't wait to return to the area to bring you your ticket to mobility freedom soon.